Horse racing has a great and old tradition in al lover the Italy and almost every city has its own (sometimes more than one) horse racing track. 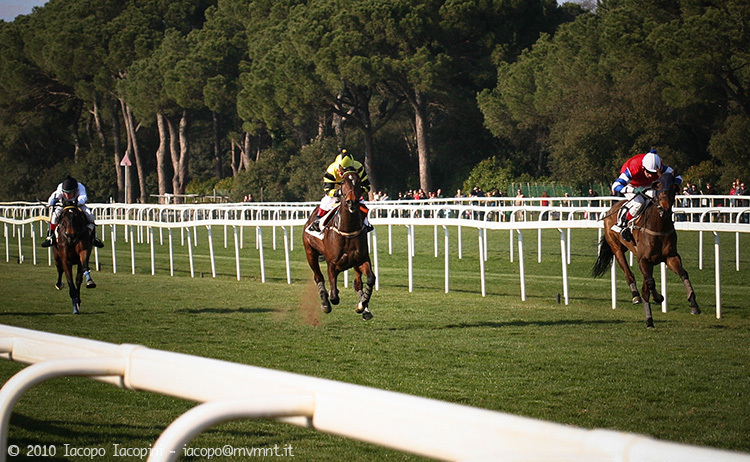 One of the most important national horse racing track is located in the San Rossore park near Pisa in the heart of Tuscany and is called Ippodromo di San Rossore. This wonderful place is located inside the National Natural Park of Migliarino, San Rossore e Massaciuccoli that create a great attraction for visitors, family and turists. 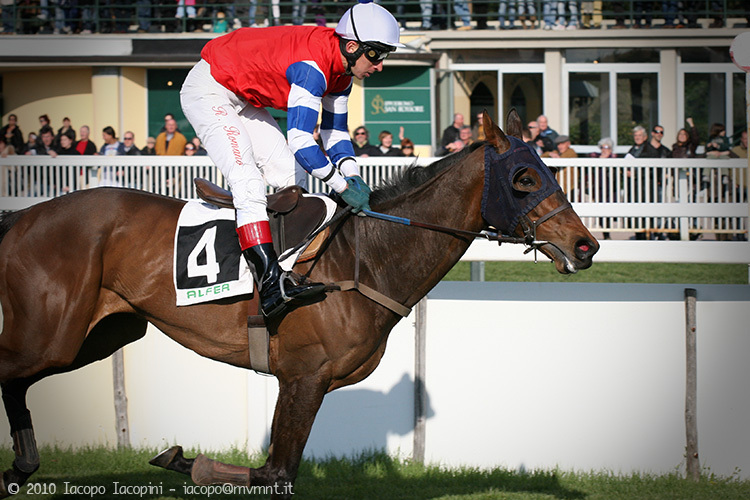 The ippodromo have been founded in the XIX Century in the park of the king of Italy and till now it creates a great tradition in the agonistic activity and to the training of Thoroughbred horses used in the competitions. The Thoroughbred is one of the most known horse breed famous for horse racing. Thoroughbreds are considered a “hot-blooded” horse, known for their agility, speed and spirit. 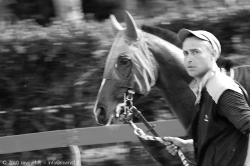 During the years the breed has been selected with the purpose of having horses with the natural aptitude to the speed racing. The silhouette of the horse shown in this gallery in some ways could remind the shape of a Sighthounds dog (also called gazehounds). Also fantastic is to look at the tension on the thin muscles on body of the animal literally transforming the horse in a living spring. 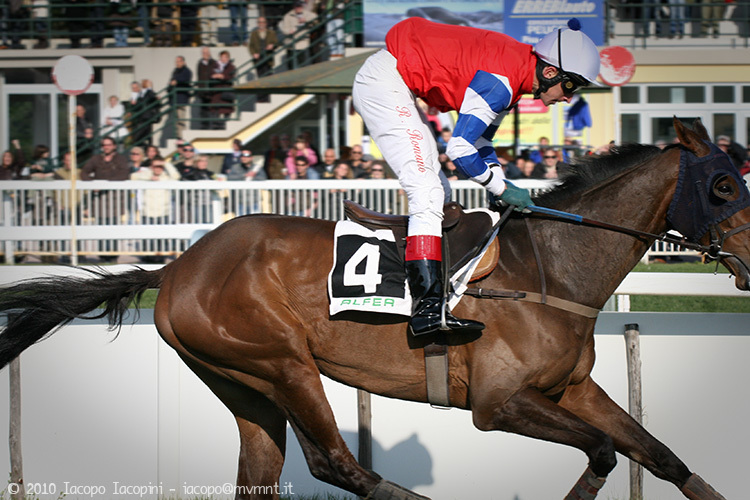 The steeplechase horse racing has a relatively new tradition in the equestrian sports. 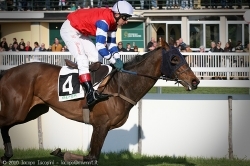 This is originated in Ireland in the XVIII Century deriving from the cross-country but with the characteristics that the race were from a church steeple to another church steeple traversing natural and artificial obstacles. 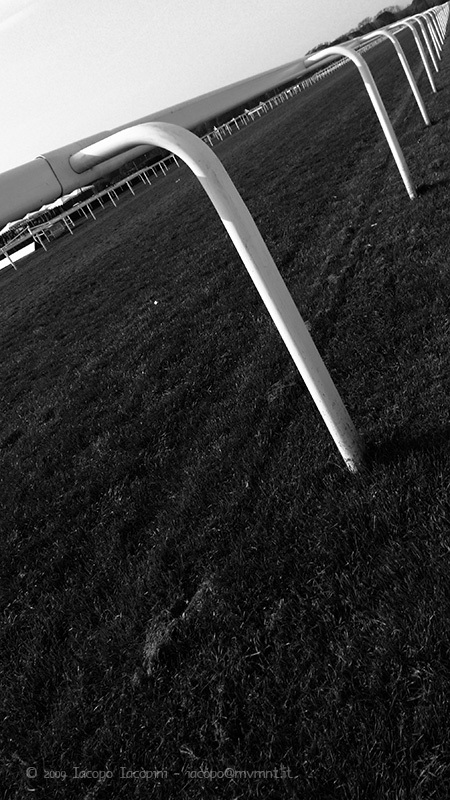 Nowadays these competitions are organized in horse racing track where horses have to jump on artificial barriers reminding natural country obstacles. Description: High quality photos of an steeplechase horse racing competition day in the Horse race track (Ippodromo) of San Rossore (Pisa), Thoroughbred horses by Iacopo I. Tags: black and white, horse, horse riding, ippodromo, italy, pisa, ride, riding, san rossore, tuscany.